We are delighted to be interviewed by RESET this month in their Becoming a RESET AP Series. RESET Air targets the environmental health of occupants, starting with people and indoor air quality. This building standard and certification aligns with our firm’s High Performance Program, which focuses on the many facets of high performance building design - one of which is indoor air quality. 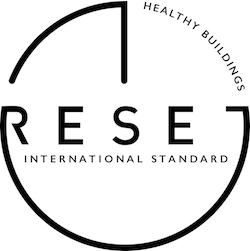 In this new series of articles, ‘Becoming a RESET AP’, RESET introduces pioneers from across the globe who have taken up the mission of creating healthier buildings. These individuals have not just decided to become AP’s (or Accredited Professionals) themselves, but have also extended the certification to their employees, clients and partners, but also integrated it in their business offerings. 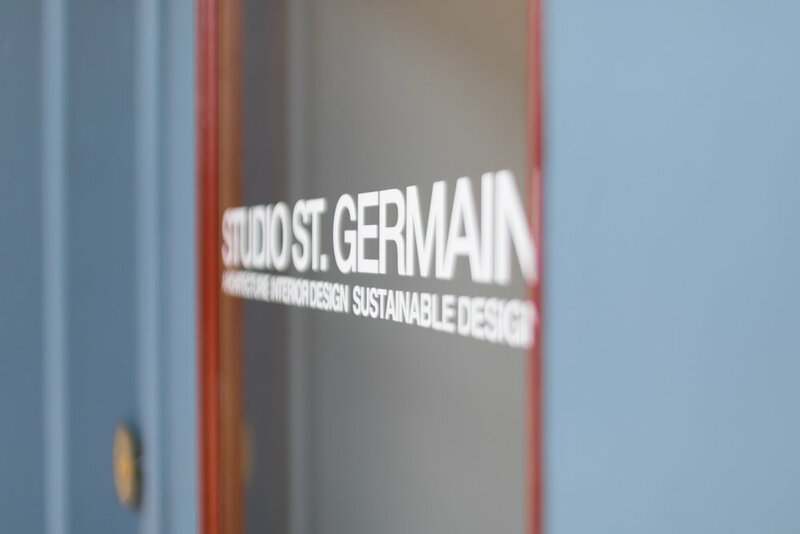 Here’s what Nathan St.Germain, Principal, Studio St.Germain, has to say. I decided to pursue becoming a RESET Air Accredited Professional because we spend 95% of our time indoors and indoor air quality impacts our health, comfort and productivity. I also wanted to be involved with the world’s first sensor-based and performance-driven indoor air quality building standard and certification program. This certification also aligns with our firm’s High Performance Program, which focuses on the many facets of high performance building design – one of which is indoor air quality. RESET Air differentiates itself from other building performance standards through its continuous monitoring requirement for PM2.5, TVOC, CO2, CO, Temperature and Humidity within a building. In addition, the indoor air quality data that is monitored is required to be communicated to the building occupants to maintain certification. The required reporting of the indoor air quality data back to the building occupants is a game changer. It fosters public awareness and education in a way that no other performance standard and certification has. It also provides the opportunity for the design professionals to visually represent the indoor air quality data in an artistic, interactive and compelling way. We are proud to announce that Studio St.Germain principal Nathan St.Germain is now a RESET™ Accredited Professional. RESET™ Air targets the environmental health of occupants, starting with people and indoor air quality. It is the world’s first sensor-based and performance-driven indoor air quality building standard and certification program. This certification aligns with our firm’s High Performance Program, which focuses on the many facets of high performance building design - one of which is indoor air quality. Why is a buildings indoor air quality so important? We spend 95% of our time time indoors, and indoor air quality impacts our health, comfort and productivity. One example is a 2016 study conducted at the Harvard T.H. Chan School of Public Health found that poor indoor air quality accounts for a 13% - 20% decrease in productivity. For more information about the High Performance Program please click here. 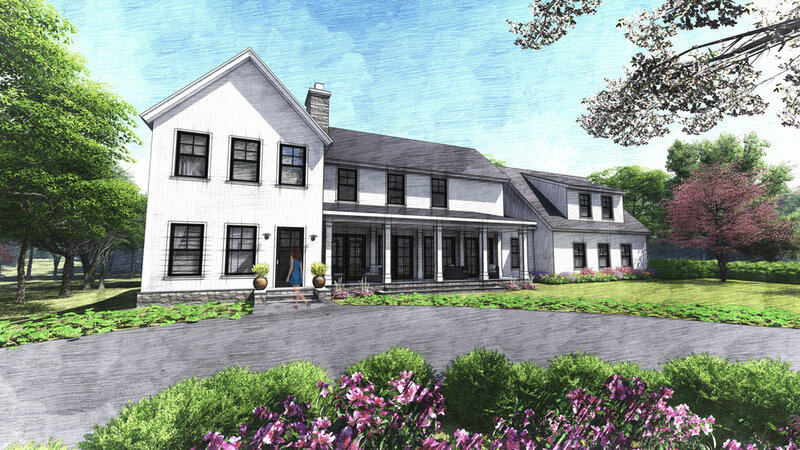 Studio St.Germain, a Sewickley-based architectural firm specializing in ultra-low energy building design, has announced the launch of a new owner-facing initiative designed to improve clients’ understanding of the many options in high-performance building design and technology. The studio’s High Performance Program is an initiative that assesses building owners’ knowledge, readiness, and orientation to the multitude of sustainability programs available today, and then presents them with a personalized plan of action. 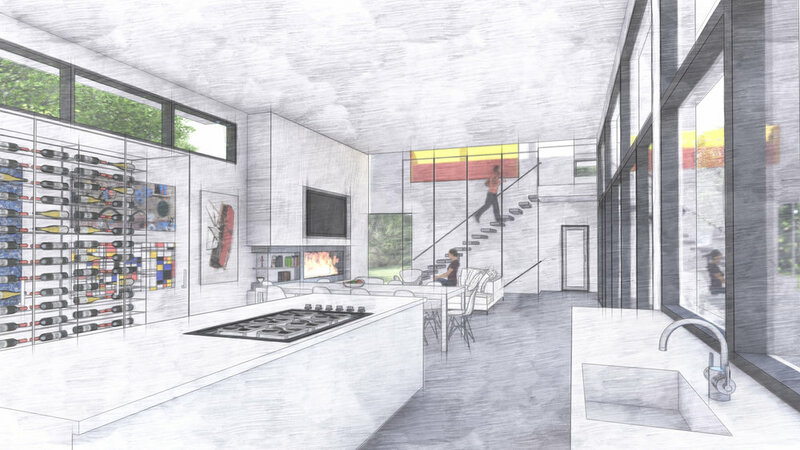 The Studio specializes in a particular sustainability program known as Passive House, named for the Passivhaus criteria developed in Darmstadt, Germany in the early ‘90’s and later adopted by the international building community. Boasting the strictest technical standards for building sustainability relating to energy use and air quality, Passive House relies on building science principles for solar design, continuous insulation, airtight construction, and continuous ventilation to lower energy use and create indoor environments with superior indoor air quality and comfort. Although the program uses the word “house”, Passive House is not exclusive to residences and is frequently used in commercial buildings and institutional settings such as schools and offices. Passive House is relatively new to the United States, gaining traction only in the last 10 years, making Studio St.Germain’s expertise relatively unique in Western Pennsylvania. Passive House is just one of ten formal sustainability programs that building owners can choose from. “Most of our clients aren’t aware how many options there are, or that sometimes the best choice is not a formal certification program at all, but rather a set of design principles and building technology that results in the closest match to their goals,” added St.Germain. The High Performance program features a brief intake process that allows the Studio’s principals to quickly and seamlessly assess which programs or building science techniques match up best with a client’s profile, after which personalized recommendations are presented. More information about the program and an explanatory video are available at: studiostgermain.com/high-performance. We are giving a presentation on Colorado's first Certified Passive House at the North American Passive House Network (NAPHN) Conference on Friday, October 19th. We hope to see you there! For more information about the NAPHN Conference and to register please click on the image above. 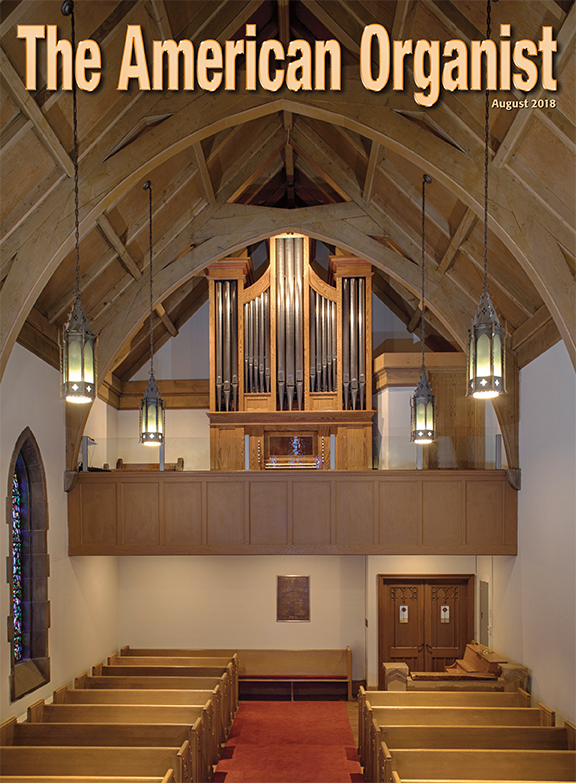 We are pleased to see that our firm's project at Sewickley Presbyterian Church is the cover story for the August issue of The American Organist Magazine. Click here to view a digital version of the issue. We are very excited to be hosting, on behalf of Passive House Western PA (PHWPA), a dinner at Poros Restaurant as part of The Getting to Zero National Forum on April 18th at 7:00 pm. The 2018 Getting to Zero National Forum is being held on April 17-19th in Pittsburgh, Pennsylvania. It is the premier global event dedicated to defining the future of the built environment. For more information on the forum and our hosted dinner event please click on the image above. There are a number of different manufacturers, criteria, and options when selecting ultra-low energy, high performance windows. If a project requires the Passivehaus and/or Passive House performance standards, Alpen is the only American-made window with both PHI (Passivehaus Institute) and PHIUS (Passive House Institute U.S.) certifications. Studio St.Germain's Midtown Passive House project was the first Certified Passive House in the state of Colorado and Alpen was used for the project. For more information on this innovative product, please visit the Alpen website. We were inspired by Sarah Williams Goldhagen's recent book Welcome to Your World: How the Built Environment Shapes Our Lives, for its poetic argument on why design matters. As fellow advocates for the importance and necessity of good design, we were impressed with the author's data-driven links between the neuroscience of architecture and the built environment. Below are a few excerpts that caught our attention and we hope they will catch yours as well. "One recent study of the learning progress of 751 pupils in classrooms in 34 different British schools identified six design parameters - color, choice, complexity, flexibility, light, and connectivity - that significantly affect learning, and demonstrated that on average, built environmental factors impact a student's learning progress by an astonishing 25 percent." "The difference in learning between a student in the best designed classroom was equal to the progress that a typical student makes over an entire academic year." "Humans crave and need access to the outdoors and to nature and suffer in its absence, yet few of us appreciate how fundamental that need is. Contact with nature confers on people salutary effects that are nearly immediate. Twenty seconds of exposure to a natural landscape can be enough to settle a person's elevated heart rate. Just three to five minutes will suffice to bring high blood pressure levels down. Nature quite literally, heals us: hospital patients recovering from gallbladder surgery, when placed in rooms with views of deciduous trees instead of rooms facing a brick wall, healed so much more quickly that they were released from the hospital nearly a full day earlier." "The typical suburban neighborhood, scaled to the view at thirty or forty miles per hour, and to the turning radius of the steering wheel, is designed for driving over biking. One result is that many such developments promote lifestyles so sedentary and auto-dependent that America, and increasingly much of the developed world, is facing an avoidable public health crisis. As public health authority Richard J. Jackson bluntly puts it, "the more time we spend in a car, the more likely we are to be obese - and this is without even taking into account the enervating, resource-and time-draining costs of commuting. An auto-bound, sedentary lifestyle is part of why nearly 40 percent of adult Americans are obese, and fully 70 percent are overweight - compromising people's cardiovascular health and muscular capacity, and greatly increasing their vulnerability to type 2 diabetes." "The more we learn about how people actually experience the environments in which they live their lives, the more obvious it becomes that a well-designed built environment falls not on a continuum stretching from high art to vernacular building, but on a very different sort of continuum: somewhere between a crucial need to a basic human right." 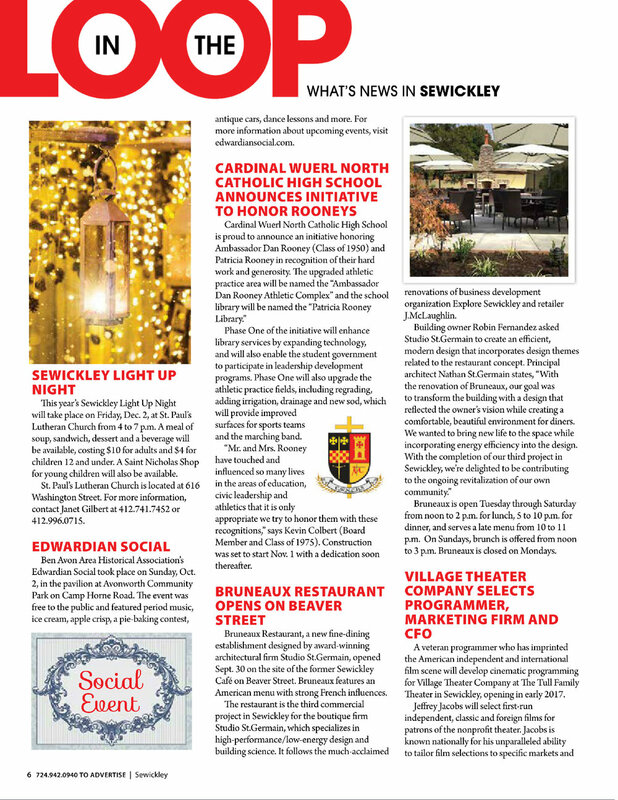 We were pleased to see that our firm was featured in the Fall issue of In Sewickley magazine. Click here to view a digital version of the issue. What Is Energy Master Planning? The term "master plan" is typically associated with large-scale new construction projects or renovations that consist of multiple buildings in a campus or urban setting. However, in terms of operational costs and sustainability, an energy master plan is a critical component of design and planning that is often overlooked. Energy master plans can be created for large projects consisting of multiple buildings, as well as for an individual building; and can be created for both new construction as well as existing buildings. The first step is accomplished by reviewing and analyzing documents such as building plans, energy audits or energy models, and utility data. Additionally, the project team may perform a visual inspection of the building(s), as well as interview and/or survey facility stakeholders to understand space requirements, day-to-day workflow, and how well the building is currently meeting the needs of its users. Establishing and confirming an overall vision is essential to launching the master plan. During this phase, we compare the building performance data against energy benchmarks of similar buildings, and use this information to help set energy reduction goals. These goals identify and articulate the core issues to be addressed in the planning process. They act as a scorecard that can be used to comparatively evaluate alternate master plan options developed in the subsequent phases. The goals may address issues such as improved operations, improved indoor air quality and occupant comfort, improved functionality and flexibility of space, reduction of energy costs and greenhouse gas emissions, and achieving sustainable certifications. In this phase a comprehensive list of potential optimization measures will be created for consideration. The list may include measures that address site, architecture, building systems and operations. Once all options are identified, each will be tested against the scorecard of goals created in the previous phase. Energy modeling software will aid in making informed choices to meet the project goals for improved energy efficiency, while careful not to undermine functionality of spaces or aesthetics. Financial modeling is used to evaluate how various options may impact factors such as utility costs, a property’s real estate value, occupant productivity, or greenhouse gas emissions. For all possible measures, the advantages and disadvantages are evaluated and discussed in meetings with project stakeholders. The purpose of an energy master plan is to avoid fragmented, haphazard efforts in order to better understand, continually monitor and improve the building performance and energy strategy for a facility. Building on the concepts developed in the previous phases, the focus in this phase shifts to a detailed set of initiatives as part of a single approach to fulfill the master plan goals. 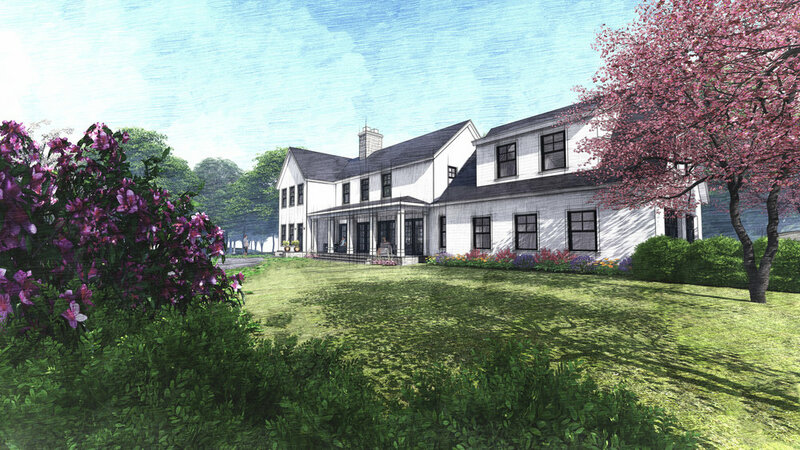 The final master plan identifies future projects, including commentary on aesthetic considerations, cost estimates, payback analysis, constructibility, schedule, as well as connections with other initiatives. Additionally, the final master plan and accompanying reports may act as key documents for capital planning, fundraising and advocacy. The master plan also becomes a tool for future building operators, planners and architects. The master plan includes an implementation strategy to identify how, when, and by whom the recommendations of the plan are to be implemented. It provides information for both near-term and long-term projects. This is to ensure that short term projects do not compromise longer term opportunities, as well as to allow long-term flexibility. The project team assists the client in preparing requests for proposals (RFPs) for anticipated projects, and establish project delivery methods. In order to assure successful implementation, Studio St.Germain acts as the Architect of Record for recommended projects proposed within the master plan. Measurement and Verification creates a record of the building’s past and a blueprint for the future. Upon completion of each project, Post-Occupancy Evaluations are performed to evaluate how design, construction and operations impacted the original goals. The design team assesses what elements exceeded expectations and should be repeated on future projects, as well as those elements that may have fallen short and require modification in future phases. The energy model and collected data are also used to verify that construction has achieved the goals set for that project. This information continues to be applied in future planning. Monitoring-based Commissioning using building sensors, monitors and an "energy dashboard" ensures that energy efficiency goals are maintained over time. A successful energy master plan addresses utility consumption, greenhouse gas emissions, renewable and alternate energy sources, spatial requirements, as well as occupant comfort and productivity. Studio St.Germain takes a methodical, step-by-step approach to navigating this complex process to achieve maximum return on investment. We are pleased to be invited to present on Passive House to the AIA New Jersey Chapter. Principal Nathan St.Germain is quoted in the October issue of Breaking Ground Magazine's feature article, "Architecture Trending." Click here to view a digital version of the issue. ©2018 STUDIO ST.GERMAIn LLC. aLL RIGHTS RESERVED.